Sub 2 Minutes in Hell has been achieved. You might be thinking about how I recently posted a new PB speed run on my youtube channel, and are thinking, "Wow, Yoshi, you beat the world record!" I posted the speedrun and was thinking, "Huh maybe I could beat the WR?" so I looked up the speed run to see if I could pick up any new strategies, and I saw how the title of the video now had a big fat [OBSOLETED] on it. I needed to know who the new record holder was, so I checked the High Scores page, and I found the old record. So I looked in the comment section of MasterLuigi's video, and found the lucky winner. the new WR for Hell (60fps) is 이매실, and their time is 1'59"9. Here's the video below. It's really impressive. Whoah. I never even thought about deeqquipping the booster during b2. 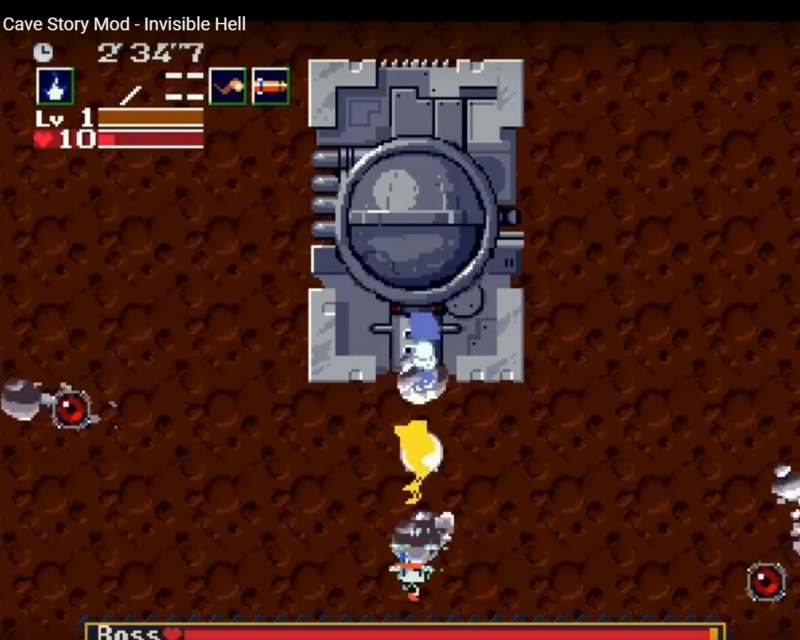 There are so many awesome moments in this run like when they explodes those two deleets at once and just how quickly they destroy the bosses. Are you sure this isn't TAS? I find this intriguing with the whole damage-boost-de-equip-booster thing, that's creative. And the fact the snake strat came back, after MasterLuigi got that 2"02'8 with the spur, I thought the snake strat was dead; but not by a long shot apparently. What confuses me though is why Heavy Press didn't fire his laser when the battle started? It always does, but didn't for the newest WR? why Heavy Press didn't fire his laser when the battle started? It always does, but didn't for the newest WR? That isn’t an anomaly. It will do that occasionally, I don’t know what determines it, could be something manually triggered, or it could be RNG. I find that it fires less when I’m charging the spur, but he didn’t have the spur so it must’ve been luck. I just find that weird, because I was re-watching the TAS run of the whole game (the one by Nisuja), and with the machine, the laser goes off. I'm wondering if it's something that triggered in the new WR or maybe it is rng? I think it’s RNG in terms of the new WR’s case, As he walks in to heavy press just holding the missles, and the only instance of luck manipulation I could find in my experience is charging the spur, and he has no spur. I feel it’s possible that Nisuja just didn’t know about this, or maybe it’s not possible in the freeware version. This obviously has hevay press charging the laser as this player has the snake and sml. I would believe more if it was luck rather than some manipulation. Yeah I guess so, but that's super weird and I would love to know how exactly that occurrence happened? I wonder now if it really is luck or some sort of manipulation because it's unclear. If it could be manipulated then why wouldn’t the TAS do it? I guess so? I never thought of it like that, but I guess it's because the TAS doesn't necessarily need to since it has it's weird work-arounds only TAS's can do with their frame perfect stuff. There's no RNG regarding laser. Heavy Press always fires it on start (well, it should), then after 400 frames, then each 300 frames (there are always 4 butes spawned between shots). Occasionally it won't, and that can be seen in the new WR. It's possible that it could be manipulated, or it's just RNG. Does anyone know who is in the New/Load screen for under two minutes? That's something I've wondered about for a long time. Pixel didn’t see sub 2 minutes possible (which it probably is impossible on the freeware version), so sue is as far as it goes. Well does it make a difference since freeware is 50 fps and the + ports are 60 fps?